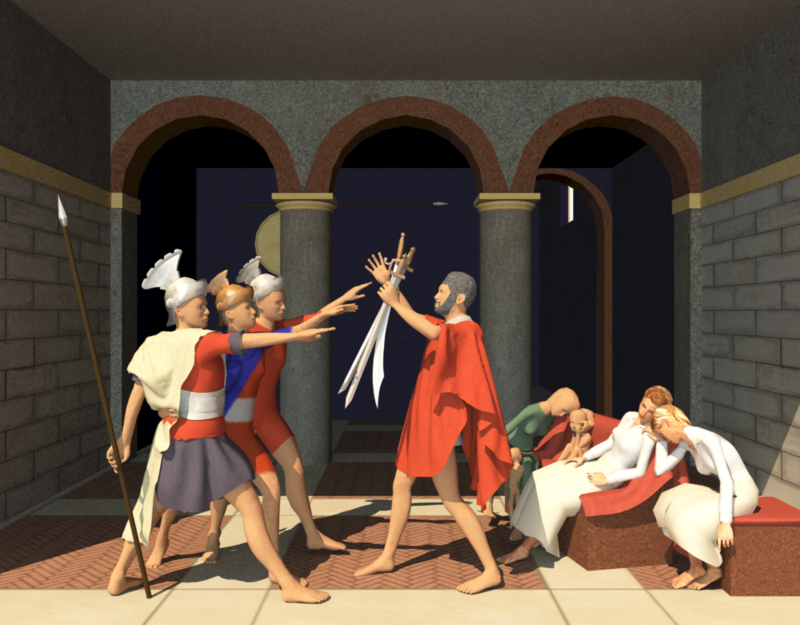 This project is an exploration of the relationship between virtual 3D spaces and classical painting. 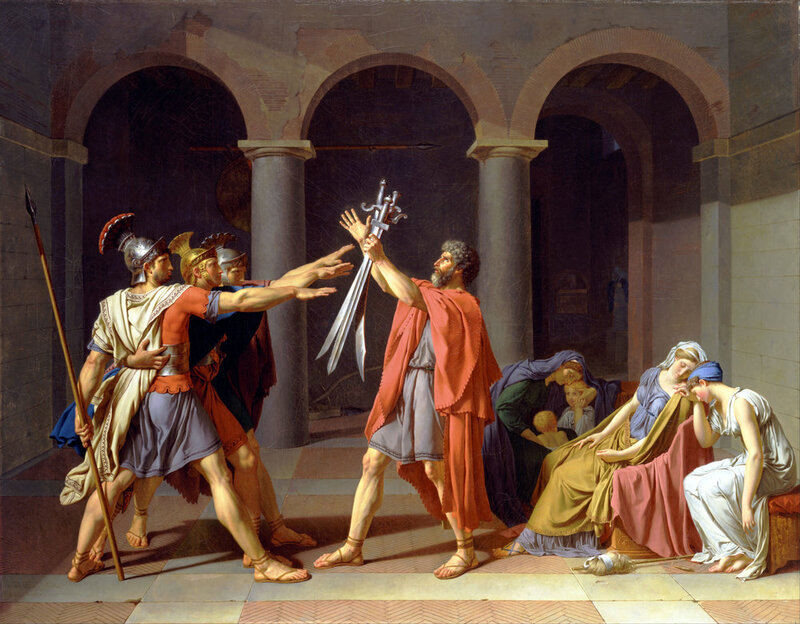 I reconstruct the illusory space in Jacques Louis David's The Oath of the Horatii using various digital tools. This experiment resulted in a greater understanding of the possibilities and power critical making. The process of creating the artifact revealed new observations and insights that lead to a deeper, more informed interpretation of the painting. Below is a video that documents the process of creating the artifact as well as the new observations that resulted from it. Following this exploration I created a application in Unity, in which I was able to adjust visibility of annotations that represented multiple methods of observation including illumination, visual flow, cast shadows, gestural lines, and amount of manipulation. This video documents a VR experience in which one can interact with the 3D scene by manipulating objects, lights, and the space. This test was to examine the possibilities of allowing an opportunity to discover similar information as uncovered in the process exploration.